» What Is the Difference Between a Generator and an Inverter? 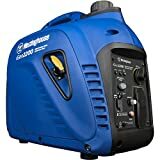 When first shopping for a generator, it can be pretty overwhelming because not only are there a number of makes and models that are available, but there are also different types of generators being produced and sold. 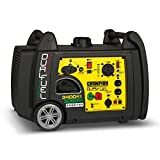 As one type of generator, portable generators are most commonly used as backup power supplies for homes, a means to power our motorhomes, or even as a camping appliance necessity. It’s for this reason that not only do we look for cost-effective and efficient generators but also practical options. That said, we will answer the common question: “What is the difference between a generator and an inverter?” Not only will we be looking at the differences and benefits between these two types of generators but also how you will choose between the two. Conventional generators are the most widely available units today and run either on diesel, gasoline, or propane. This engine powers a motor that’s attached to an alternator in order to produce electricity, which is typically 120 Volts AC. The sizes of these engines can range from anything as low as 500W up to many kilowatts, allowing various appliances to run simultaneously. These generators often have larger fuel tanks than other generator types, which allows for longer run times and fewer trips to refuel your generator. 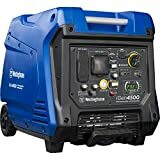 As mentioned, conventional generators come in a range of engine sizes of up to 50kW, giving you a lot of options that will suit your specific needs. Since a lot of manufacturers offers this type of generator, they have a lower initial cost. This is also thanks to the years of research and development that has gone into them. Inverter generators pull power from a DC source whether it be a solar panel, home power socket, or a car battery. This power is then stored in an internal battery which can then be converted into AC before being supplied to any attached appliances. Since inverter generators need continuous access to electricity in order to consistently charge, they can only store as much energy as the battery can hold, rendering the battery useless after the battery is exhausted. Inverter generators don’t start in the same way as conventional generators, but instead, start with a simple on and off switch. It also features an idle or low power feature that allows it to run at a lower level when not in demand. Inverter generators are designed to operate at a lower noise level than conventional generators, often as low as 50dB. This makes inverters an excellent choice for in-home use or in RV’s where a loud conventional generator would become too unbearable. On average, inverters are smaller in construction, leading to lower overall weight and making them significantly more portable; thus, great for those who are always out on trips. Inverters are a cleaner source of energy as they charge from another source, which can even include solar panels. Whether you opt for a conventional generator or an inverter, there are a few key features that you’ll want to look out for before making your purchase. Below, you’ll find commonly listed features and how they apply to conventional generators and inverters. The level of fuel efficiency is determined through engine speed as well as fuel tank size. Inverter generators have short runtimes, typically eight to 10 hours when compared to conventional generators with significantly larger fuel tanks. This being said, inverters commonly have an idle mode that allows for the engine speed to be adjusted during operation when lower amounts of power are needed to save fuel. Your power needs will largely determine the type of generator you need to purchase. Inverters typically range between 1kW and 4kW, whereas conventional generators can range from 500W up to more than 50kW. For indoor-use generators, you’ll want to choose a unit that produces the lowest possible decibel level. Inverters are designed for this specific use and often include sound dampening as well as muffling features in order to produce quiet operation. Conventional generators typically run at a constant speed of around 3600RPM, making them significantly louder than inverters. If a convenient and highly portable power source is what you’re looking for, then an inverter is definitely the best choice for you. Inverters are usually small in size, making them incredibly lightweight; thus, highly portable, making them a great choice for boat or RV generators. Conventional generators are often larger in size as well as being bulkier and heavier. 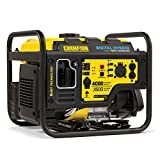 These generators are often built with open frames with exterior handles and wheels for ease of movement but still can’t match up to the convenience offered by inverters. Fitting an engine into a compact enclosed casing with a bunch of additional features drives the price of inverters up a lot higher than that of conventional generators of the same rating. This makes conventional generators far more common among buyers that are looking for the superior power of convenience. So, what is the difference between a generator and an inverter? The main differences between the two are convenience and power-to-cost ratios. That said, when deciding between the two generators, you need to identify what features are most important to you as an end user. If you’re looking for a clean powered generator that can be easily transported between point A and point B, then an inverter is the best option for you. 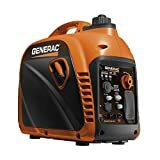 For those of you who are looking to power a wide array of appliances with a low initial cost, then a conventional generator is best for you. Don’t forget that generators can also be run in parallel, so if you can’t find an inverter that matches your required power output, then you can always link multiple generators together.